iChild have created some brilliant free printables and activities to help your child celebrate the Queen's birthday. We were sent a selection and we couldn't wait to see what activities we'd be doing! 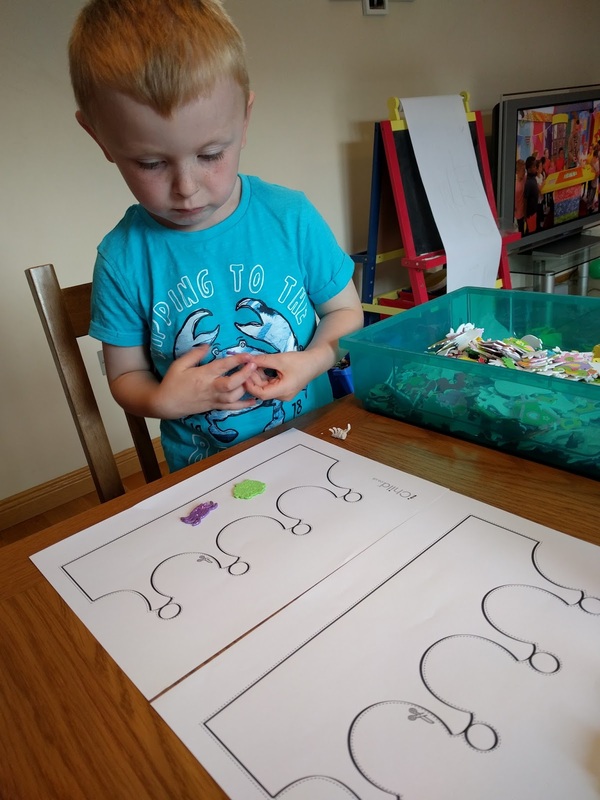 iChild is a fab online resource of printable worksheets and there are tons of education activities for kids aged 0-11 to get stuck into. Included in the pack was several colouring sheets and this was a really simple quick activity that was useful for an afternoon where we didn't have much time but I needed something to keep him busy! 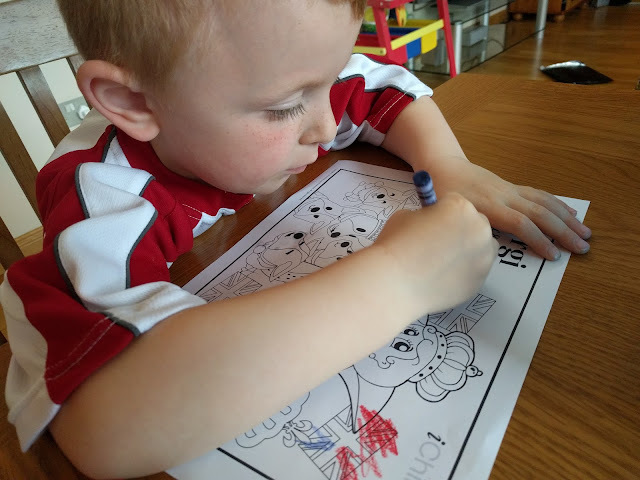 Elliot really enjoyed colouring the corgis and I was really impressed that he picked out the blue and red crayons for the flags without any prompting from me. He also enjoyed matching up the crowns. Another activity we completed was making a paper lantern. Again I gave Elliot a hand with the cutting but he did the snipping in the middle part and helped stick the lantern together with tape. The finished result looked really cute however he did ask if there was actually a light inside it hehe! 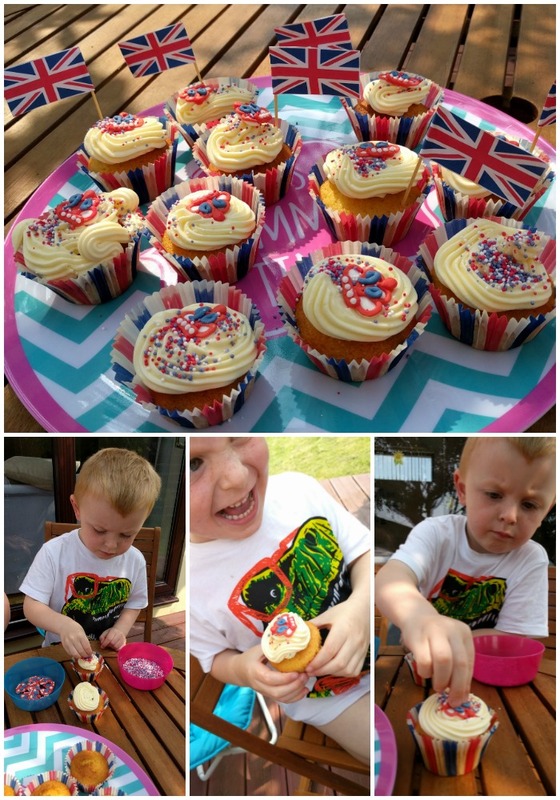 The decorated cupcakes went down a storm and Elliot was very proud of his creations. 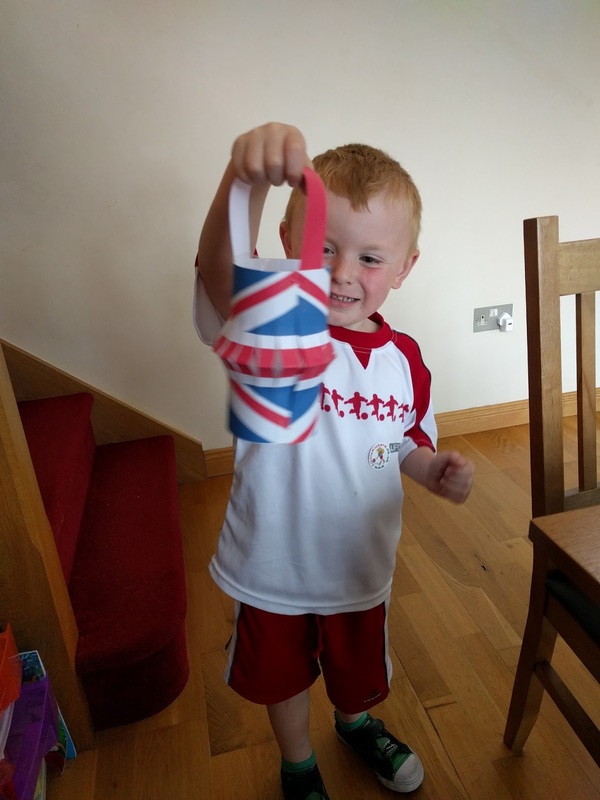 We even made some cute little flags for decoration which finished off the Royal look! There were so many activities included in our pack and we were really spoilt for choice. I liked that all the worksheets and activities were tailored to Elliot's age group and everything was manageable in short bursts. 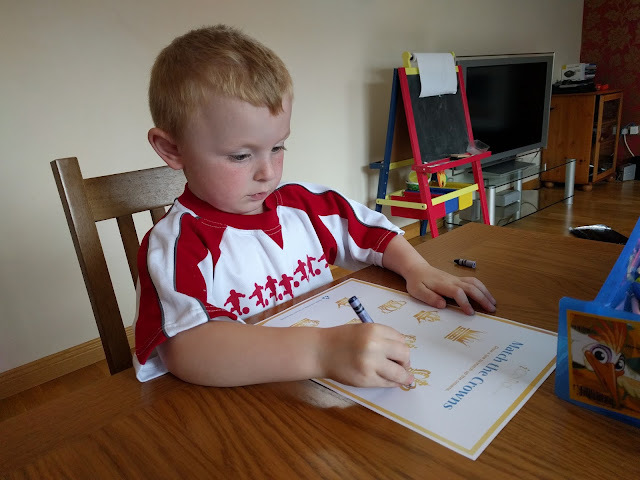 Elliot is only 3 and sometimes his attention span isn't great, he can get very distracted but the activities included in this pack were perfect for his enjoyment! 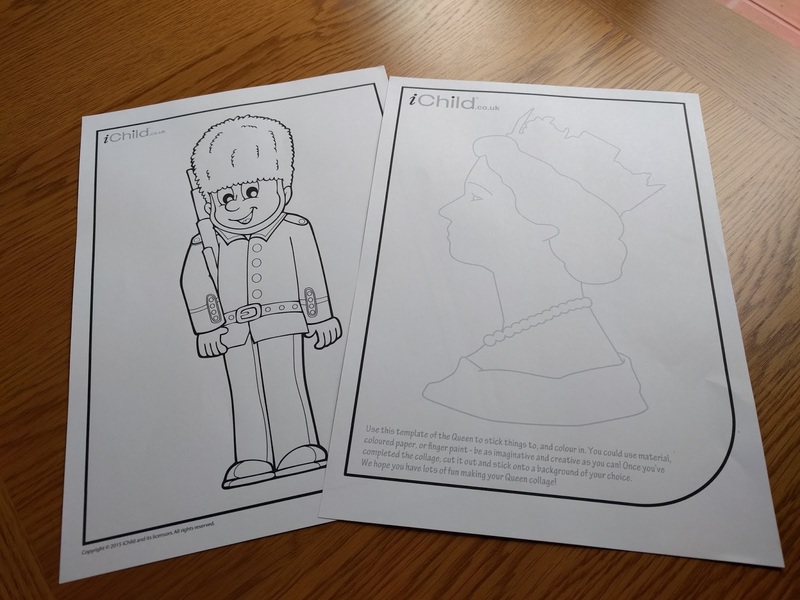 The iChild website is absolutely packed with activities to help your child celebrate and understand the Queen's birthday - it's definitely worth taking a look for some rainy day activities! Thank you to iChild for sending us this pack - we will definitely be using the resources online in the future and can't wait to explore the dinosaur section!